You’ve always wanted a bigger squat – time to earn it. Starting this week you might have noticed a big shift from our last 16 week block of training. For the next 6 weeks we are hitting a squat cycle as a gym and with it comes a few other changes to our regular programming schedule. After this cycle 5/3/1 will still be our regular strength template for most of the year because it fits very well in a CrossFit program to encourage gradual but consistent strength gains. But first, lets take a few weeks to get really comfortable under the barbell. Rather than a 14 day template we are now on a 7 day template, which includes the two usual rest days (Thursday & Sunday). On Mondays and Fridays we will Squat – this will look different for level 1 and level 2 athletes. Afterwards we will do a very short METCON or some Not For Time Accessory work to shore up your weaknesses. 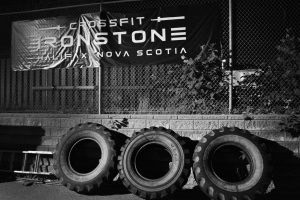 Twisted Tuesdays will see a “Monster Mash” (Thanks Pat Sherwood) style workout – a potent dose of crossfit with an empahsis on skill reinforcement and conditioning. On Wednesdays we will focus on the Olympic Lifts, their variations, accessory excercises and conditioning. On Saturdays we will do more CrossFit (which is code for me saying “you’ll find out”). We will build in maintenance for your other major lifts which aren’t necessarily targeted during this cycle (e.g. deadlift, shoulder press) by making you lift something heavy in that modality every few weeks. For instance, we pulled 5 heavy deadlifts yesterday during the opening EMOM – not enough to interfere with our squatting later in the week, but enough to keep the rust off. This is a departure from the norm so have fun with it and enjoy it while it lasts. Those who stay dedicated this time of year will reap the greatest rewards. You are used to squatting 6 x 5 with the first 3 as ascending warmup and the last 3 the same weight across. This will not change for you. You will Back squat on Mondays in this format. For most novice athletes the biggest gains will come from volume, accessory work, and improved positioning. On Fridays you will front squat using the same format as before, but this will add an extra squat session each week. Embrace it it. Remember the smallest possible dose principal – there is no need to do something complex if the easiest thing will return the largest gains. We will be following the Texas Method for Back Squats. You will need to recover well (roll, smash, sleep, hydrate) and eat well after your squat sessions for this to be most effective. On Mondays we will squat 5 x 5 @ 90% of your 5RM. You found this last week (but if you did not, you can use a recent max out set from 5/3/1 where you made it to 5 or 6 reps to estimate). This is a high volume dose and the goal is to get a big hormonal response late in the week and put it to work. On Fridays we will find a new 5RM (yes, every week). You may need to feel this out for the first week or two to see how much you can add. warm up in a few big sets at light weight then climb using singles and doubles to feel out the weight without getting fatigued. do not repeat the same number you did the week before – pick a new target (2.5-10 lbs more than the previous week) and go for it. If you succeed you will use your new number to base you 90% off of on Monday. If you fail no big deal- on Monday you will repeat the same 5×5 from the week before or add a small amount (don’t forget we have change plates) and then try again the next week. If you want a big squat the opportunity to go get it within the framework of our regular classes is here – so grab on to that bar, its time to get to work.